WebsitePanel was one of the open source Windows hosting control panels. It was widely used by web hosting providers to provision shared hosting service, VPS and private Cloud. All of sudden, development was stopped and the users were left with no option other than to find alternative solution to migrate from WebsitePanel. After last release of WebsitePanel 2.1, the development was stopped and there will not be any future release available for WebsitePanel. That means the bugs which exist in WebsitePanel 2.1 will never be fixed. There were two separate groups using WebsitePanel fork to develop and maintain their own control panels. Also, there is a possibility to migrate your WebsitePanel installation to those control panels. We will discuss in detail for both control panels. SolidCP is using WebsitePanel fork to develop their control panel. They are providing open source control panel. That means, you can view and modify source as per your need if you wish. Also, this is completely free web hosting control panel for Windows server. SolidCP includes all features which was supported by WebsitePanel 2.1. In addition to this, they support SQL 2016 server as well as they have fixed lots of bugs which were present in WebsitePanel 2.1. 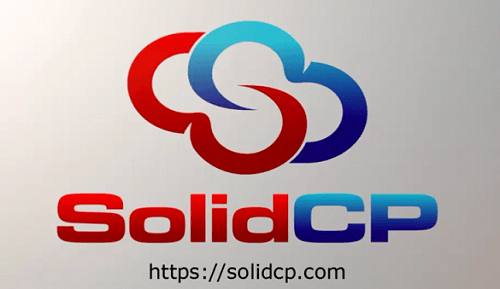 If you are looking for free WebsitePanel alternative, SolidCP is a good start for you. MSPControl is also using WebsitePanel source. But this is not completely free. For shared hosting setup, most of the features are free and you can use it however there is no guarantee that it becomes paid in future. You may contact their sales to clarify this. Also, this is not an open source control panel hence you will not have full control on the source code of the control panel. To check for the available paid addons, you can refer their website for more information or you may contact their sales team. You can also go for Plesk control panel. Please understand that there will not be direct way to migrate your websites and data from WebsitePanel to Plesk. It will be manual migration. Plesk is a commercial web hosting control panel for Windows and Linux server. If you go for Plesk, you will not be able to migrate your websites and other data directly. You will have to do manual migration. This is also a best alternative to WebsitePanel. This article is just for information purpose only. Before you go for any WebsitePanel alternative, make sure you thoroughly test it. I have been using mspcontrol for the last couple of years, primarily because it was being maintained by the same people as WebsitePanel. I have only been using it to run a non profit development community till now, but there were several bugs/issues which have stopped me using it for anything more than that as those same issues would have caused me ongoing problems that paying customers would not accept. However despite my diligence and patience, I have finally had to bite the bullet and move on as none of the bugs affecting my setup seem to have much hope of being fixed, forum posts mostly seem to go unanswered and I have been chasing replies to some of my support emails for well over a year in some cases and just had to give up on most of them and it is not really worth my time and effort to continue chasing the rest. I know you have to have low expectations when something is free, and quite clealry I do, but when there is no visible solution to a problem on the horizon and no way forward, it is time to move on. I got a message on skype form Omar about some new updates, to which I replied and let him know him I was moving on and why. This resulted in a rather unexpected and unwarranted attack of angry messages full of absolutely silly accusations, twisting of messages and outright lies and general ranting at me for no good reason. So that really made the final decision for me, and also made me see this whole MSPControl vs SolidCP argument in a whole new light as well.